Water was a persistent inspiration while designing Swish. I was just back from the beach, where I spent time watching the waves. Then a week of rainy weather hit. These two skeins started calling to me from my stash and the beginnings of Swish started to take form. I came up with all kinds of rules to inform the shape of Swish then began the process of writing out the pattern. After a few versions, I settled on written out directions placed in charts that can easily be marked off. 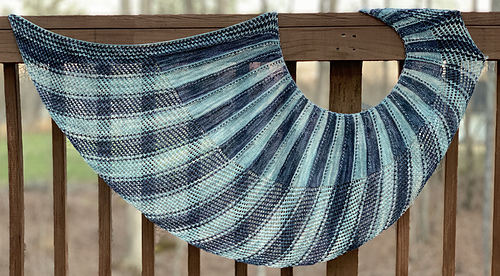 The natural curve of the shawl, formed by the short rows, mean this shawl likes to hug the shoulders. Add an I-cord and give your self more styling options. Thread the I-cord through the final eyelet section, draw in to cinch, then tie a bow. You can loop you starting end through to secure around you. Without the I-cord, leave the final section long and secure with a shawl pin, giving a dramatic a-symmetric look. 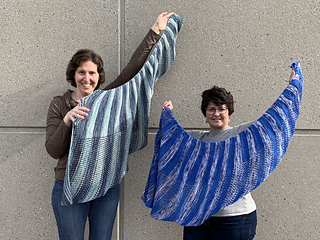 Swish is a two-color shawl worked with short row wedge sections. 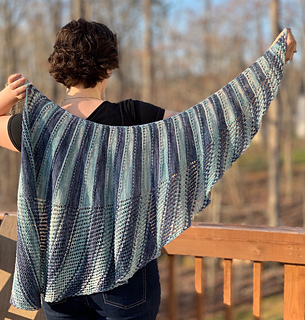 Separating each wedge is a slip stitch transition. 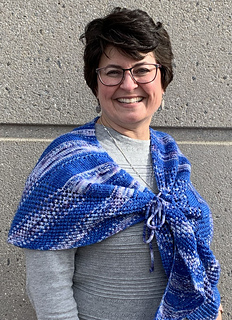 Mesh lace edge grows as the shawl grows. 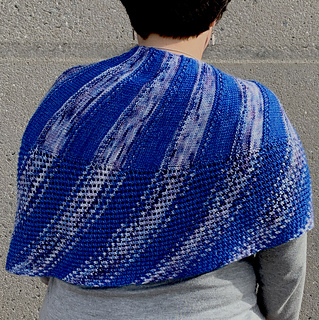 Add beads to the end of the mesh section to add a bit of sparkle and weight to the edge of the shawl.